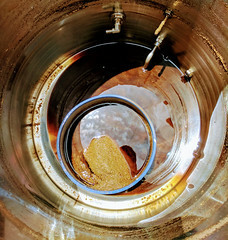 Sale Description: Adventures in Homebrewing is having a New Years Sale that will save you big! Right now you can save up to 60% on popular home brewing items and on top of that save up to an additional $50 off your order! Click the link for all of the details on this limited time sale at Adventures in Homebrewing! 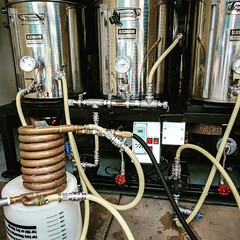 Coupon Description: If you use this homebrew supply promo code at check out, you will save an extra 10% on your Home Brewing Equipment purchase! Some exclusions apply, click the link for all of the details on this homebrew supply coupon. Plus take advantage of their flat rate shipping program. Currently Homebrew Supply is also running a promotion for $5 off any home brewing beer ingredient kit priced $30 or higher as well. Coupon Description: Williams Brewing is offering flat rate shipping for just $6.99 on all qualifying home brewing quipment and supply orders! This flat rate shipping is also good for their sale, clearence and promotional items. Click on the following link for a full listing of the current discount items that Williams Brewing has going on now! You can have 60% or more on some popular homebrew items! Save 14% On Your Homebrewing Ingredient, Equipment and Supplies this Valentine’s Day! Save 14% On Your Homebrewing Ingredient, Equipment and Supplies! Sale Description: Is that love in the air? No, it is beer! Adventures in Homebrewing has a special Valentine’s Day homebrew coupon code that will save you 14% on your homebrewing order! Click the link for all of the details and to take advantage of this limited time homebrewing.org offer! Big After Christmas Homebrewing Blowout Sale! Post Holiday Homebrewing Blowout Sale! 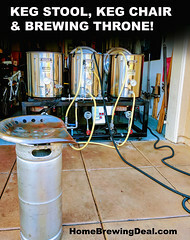 Coupon Details: Post Holiday Homebrewing Blowout Sale! Coupon Description: The Homebrew Supply post holiday sale is going on now! For a limited time you can save big on over 80 popular homebrewing items! Coupon Description: Homebrew Supply has a fantastic promo code that saves you $45 on a Blichmann homebrewing kettle or fermenter. This includes Blichmann’s new line of electric home brewing kettles! This homebrew supply promo code also works for SS Brew Tech home brewing items such as homebrew kettles and home brewing conical fermenters. For a limited time you can get a $20, $30 or even a $45 giftcard when you purchase a Blichmann or SS BrewTech item! Click on the link for all the details on this limited time Blichmann home brewing promotion! 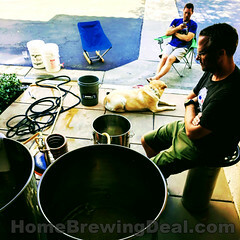 Homebrewing Deal is your source for all the best home brewing promo codes, homebrew coupons and home beer brewing deals! If you are looking for promo codes for MoreBeer, Homebrew Supply, Williams Brewing, Northern Brewer and Midwest Supplies, you have come to the right place! We post all of the best new home brewing promo codes daily for home beer brewing supply shops like Morebeer.com, WilliamsBrewing.com, GreatFermentations.com, Homebrewing.org, HomebrewSupply.com, NorthernBrewer.com, and MidwestSupplies.com. Homebrewing Deal is on Facebook.com! Please like and follow us there!